Providing personalized, comprehensive allergy and asthma care for over 30 years for children, adolescents, and adults. We specialize in Pediatric & Adult Allergy, Asthma and Clinical Immunology. Board certified in Allergy and Immunology, Stuart Kravitz M.D. and Elaine Kravitz M.D. 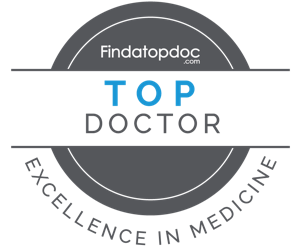 offer expertise in the diagnosis and treatment of many health problems including asthma, sports asthma, chronic cough, rhinitis/hayfever, postnasal drip, nonsurgical sinus disease, food, insect & drug allergies, eczema, & hives. Dr. Stuart and Dr. Elaine Kravitz continue to welcome now three generations of family members to their community based allergy and asthma practice, and are currently accepting new patients at both office locations. Dr. Stuart Kravitz has volunteered in national asthma screening programs for over a decade, and asthma walkathons. Drs. Stuart & Elaine Kravitz are both New Jersey Top Doctors for years 2016 - 2018! We perform Exercise Challenge Studies on a treadmill to confirm a diagnosis of Exercise Induced Asthma commonly known as Sports Asthma. Pulmonary Function Studies are helpful in treating patients with a chronic cough to see if coughing represents atypical Asthma. Husband & Wife Team and Board certified in Allergy & Immunology, Stuart Kravitz M.D. & Elaine Kravitz M.D. offer expertise in the diagnosis and treatment of many health problems. Early morning, daytime and evening appointments available.